Let’s say I want to connect to my favourite climbing shop http://www.mountaingear.com as they have a nice backend api to take orders. The guys from mountaingear.com created a certificate for me to send along with the call. 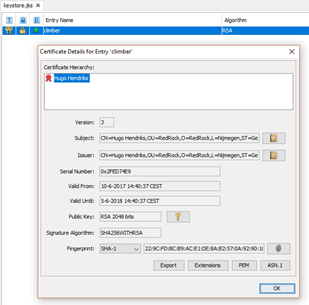 First I am going to generate a keystore with a private key in it, to simulate the certificate which the third party gave to me. Read the complete article here.